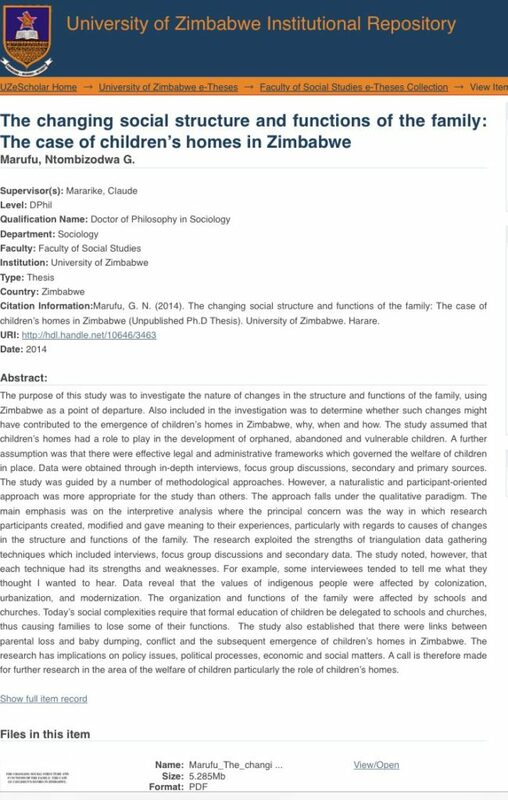 Zimbabwe’s leading university has published the thesis submitted by former first lady Grace Mugabe, who was controversially awarded a doctorate which is now the subject of a fraud investigation. Grace, whose apparent desire to succeed her 93-year-old husband prompted last year’s army takeover that eventually saw Robert Mugabe resign, was awarded a PhD by the University of Zimbabwe in 2014 after just months of study. “We saw the thesis on the website (late Wednesday)… the question is why it took four years to publish,” said Ashley Munetsi, secretary-general of the Zimbabwe National Students’ Union. 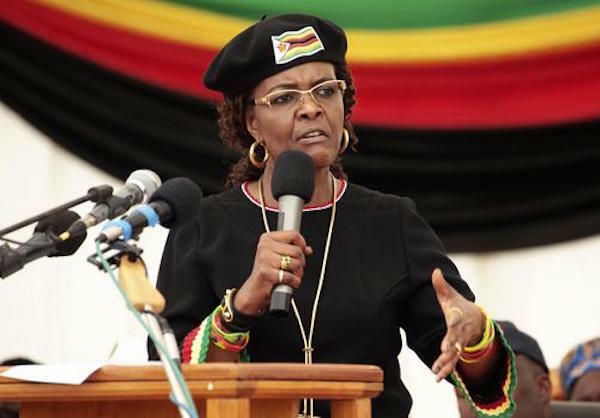 Zimbabwean anti-corruption investigators said last month they are probing whether Grace fraudulently obtained the degree. “This is an obvious cover-up and we are not going to rest until the matter is settled. We are calling on the vice-chancellor to account for the degree,” said Munetsi. 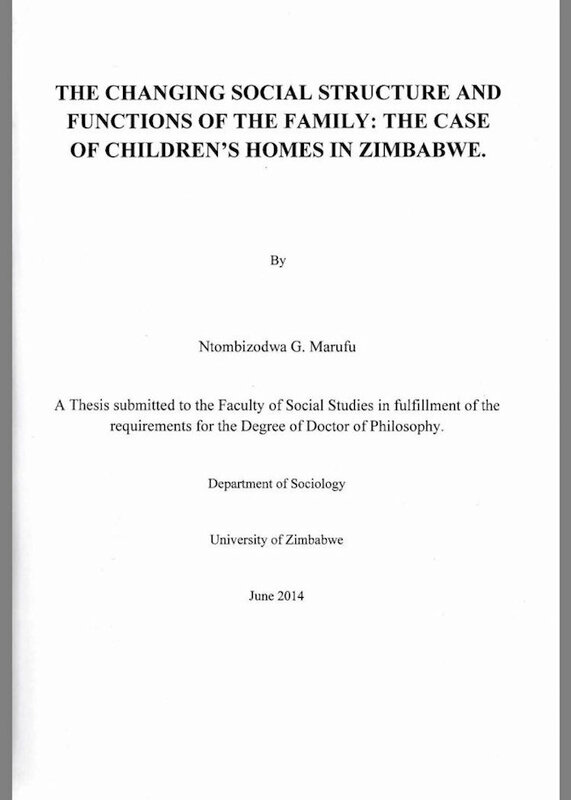 AFP has seen a copy of the 226-page doctoral thesis, titled “The Changing Social Structure and Functions of the Family”. 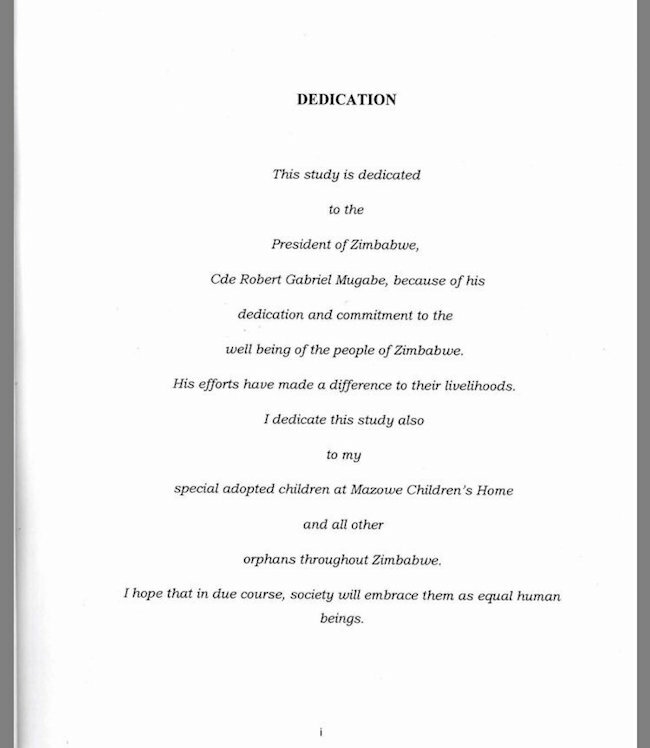 The work, submitted under Grace’s maiden name, was dedicated to “the President of Zimbabwe Comrade Robert Gabriel Mugabe because of his dedication and commitment to the well-being of Zimbabweans”. In the 80,000-word submission, Grace goes into detail about a children’s home that bears her name. “The home was my brain child. The main objective was to provide care for the abandoned, orphaned and vulnerable children,” she wrote. Robert Mugabe resigned as president on November 21, a few days after the military took control of the country. President Emmerson Mnangagwa was sworn in as president days later and both Robert and Grace have kept low profiles since their spectacular reversal of fortune. During the height of the upheaval, students at UZ boycotted their end of term exams to call for Grace to be stripped of her PhD and Robert to be stripped of the presidency. Grace was routinely accused of extravagant spending on luxury clothes and international travel, and of involvement in corrupt land deals. She is popularly known as “Gucci Grace”, “The First Shopper” or even “DisGrace”. Happy New Year! How I Got My Ex Husband Back………..
for the help, i will forever recommend my friends to you.